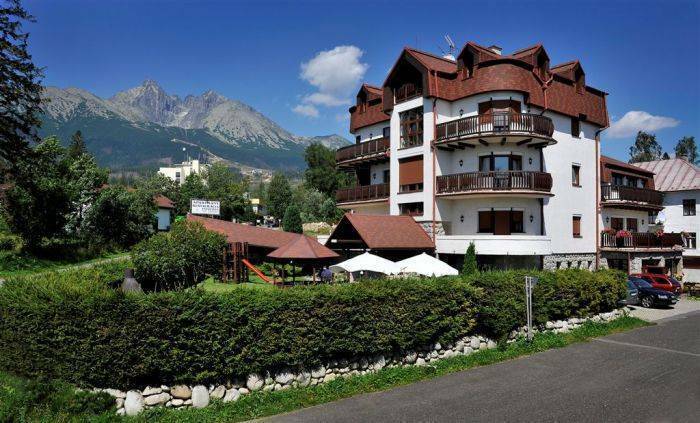 Beatrice resort is located near to the center of Tatranska Lomnica, in the heart of High Tatras National Park. This is the highest part of Carpathian Mountains and reached 2600 meter elevation. 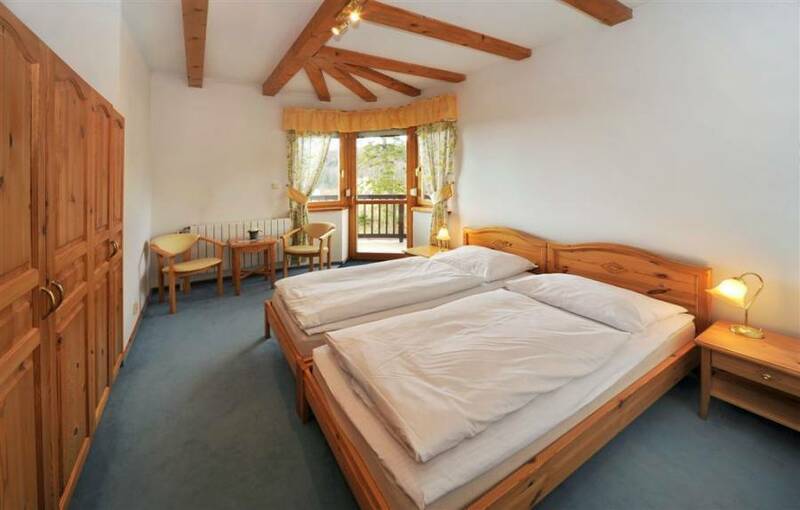 This resort is composed from two facilieties which are just 50 meters from each other. 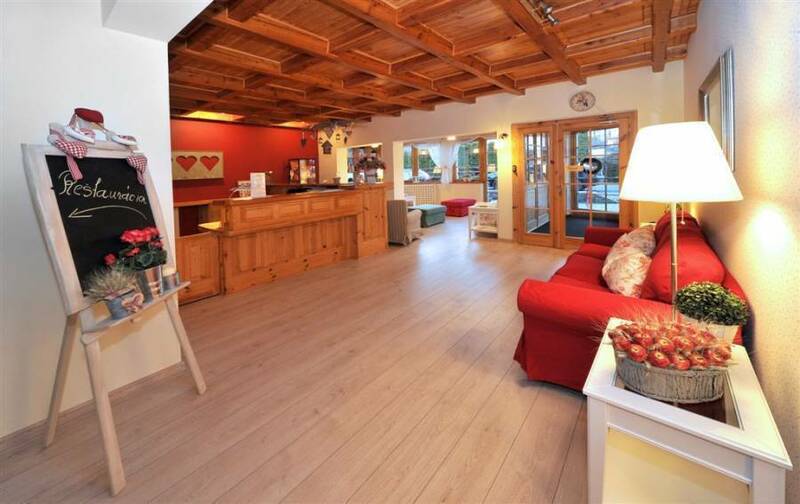 In the main facility you can find reception, restaurant ( where serves breakfast )and also children's playground. Apartment type A Accommodation suitable for 2-4 persons (floor area ? m2). Apartment includes 2 rooms: 2-person bedroom, living room living room with sofa bed, kitchenette with equipment, shower, toilet, TV set. Each apartment is equipped with refrigerator, TV set, satellite, , hand and hair dryer. Apartment type C Accommodation suitable for 8 persons (floor area ? m2). 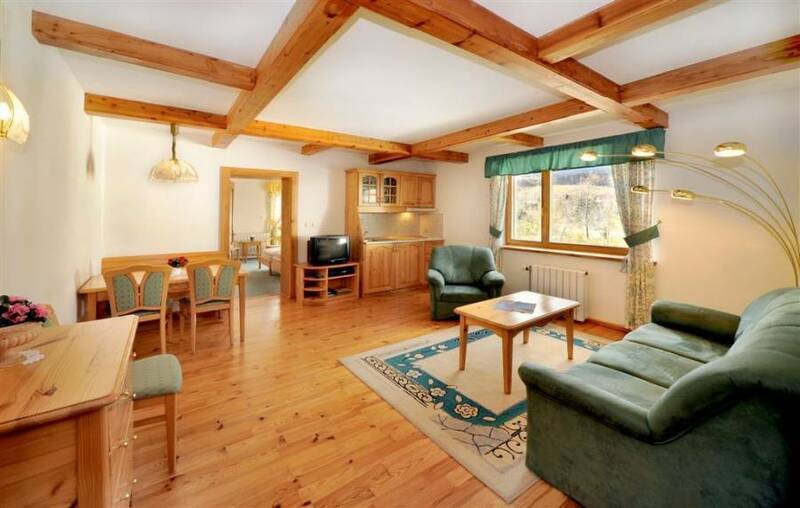 Ground floor: large living room with fireplace, large dining room with glazed wall and equipped with kitchenette, bedroom, balcony with direct view of Tatras, bathroom with whirlpool, toilet. 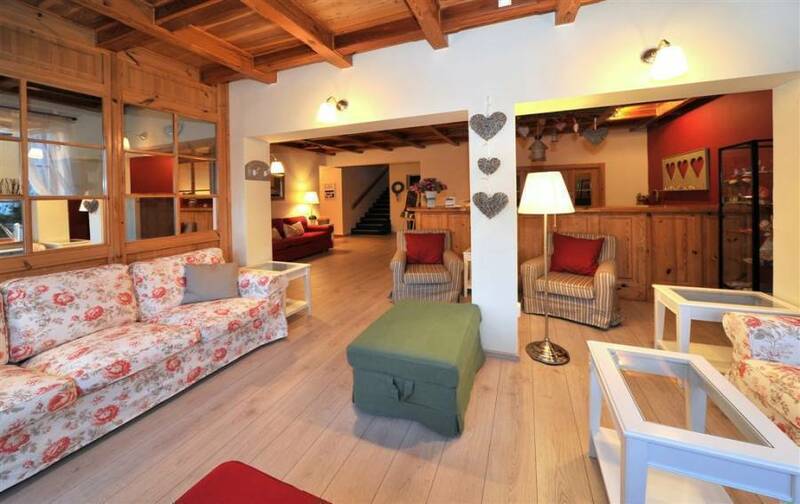 Upstairs: 3x bedroom, bathroom with large corner JACUZZI, sauna and separate toilet. Each apartment is equipped with refrigerator, TV set, satellite, hand and hair dryer. Upozorňujeme vás, že ak rezerváciu zrušíte / zmeníte alebo sa do hotela nedostavíte, bude sa vám účtovať poplatok vo výške 50 % z celkovej ceny rezervácie. Tieto podmienky definujú zálohy a platby vopred. V deň rezervácie sa vám bude účtovať záloha vo výške 50 % z celkovej ceny. Please note, if cancelled, modified or in case of no-show, 50 percent of the total price of the reservation will be charged. 50 percent of the total amount will be charged on the day of booking. In front of city of Poprad go down from higway – exit Poprad – west (západ). On bridge exit (STOP) go right. Go down from bridge and turn right. On traffic light by TESCO keep driving direction Vysoké Tatry. Behind traffic light – direction Vysoké Tatry turn right on bridge and than again right. You get on main street direction Vysoké Tatry. Aprox. after 8 km you get to Starý Smokovec behind raill crossing on cross road turn to right direction Tatranská Lomnica. In Tatranská Lomnica on first side cut turn to right, cross raill crossing. Aprox. after 100 meters on left hand side is situated Villa Beatrice.